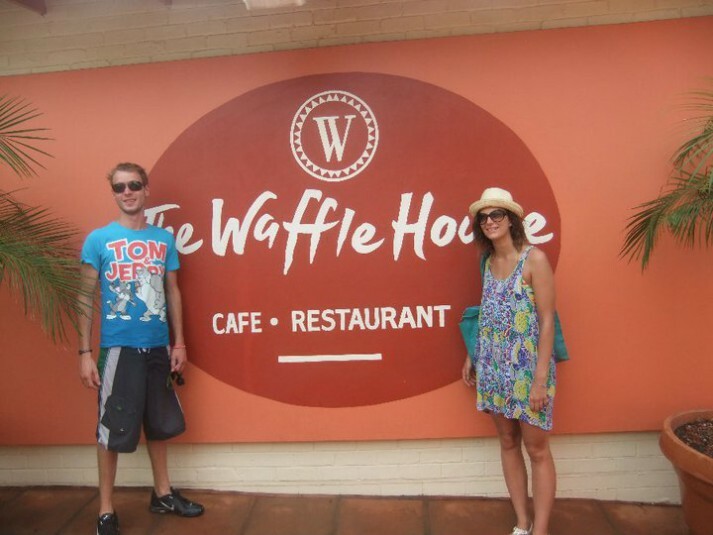 On our first trip to Ballito in 2008, my boyfriend could not believe that I had never been to the Waffle House. Unfortunately, we did not make it there that particular holiday, however we made up for this in 2010, twice in 2011 and again in 2012. I am sure this pattern will continue well into the future. From Ballito, where we stayed on our first visit, it is a bit of a drive (over two hours but definitely worth it, especially if you stay for the day and spend the day on the beach there). From Margate it is less than fifteen minutes. One day as we were lazing on the beach, everyone started discussing their growing excitement at visiting The Waffle House again. I sat in silent yearning. Last year I found out I that I am gluten sensitive and immediately thereafter embarked on a complete diet change. “It’s fiiine I said, you guys can all have waffles, I’ll just have some ice-cream in a bowl or something.” I tried to sound indifferent but no, I definitely also wanted a waffle! 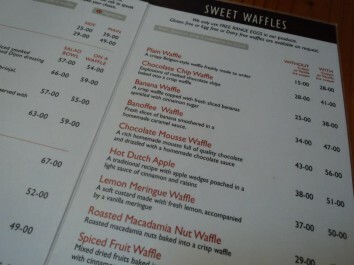 Besides the waffle, that is not free. It sounds silly, but anyone that is following a gluten-free diet will understand the excitement I felt at the prospect that I too could indulge! 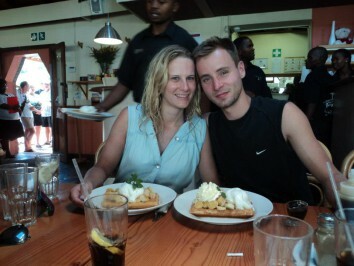 My favourite is the Banana Waffle with half ice-cream half cream. Always with chocolate sauce on the side. The best! If you don’t want to agree with me on that point, that is fine. If you do however tend to suffer after “cheating” by eating something containing gluten (all the yummy things in life seem to) you will be safe with this choice. All I had left in my lunchbox the day I wrote this post was a banana. No waffle. No ice-cream. No chocolate sauce. It was a sad state of affairs. Something which the Waffle House is most certainly not! This post originally appeared on femmegypsy.